There’s nothing quite like the feeling you get when you hear the word “tornado” on your local weather channel. When it comes to staying safe during this type of weather, coming up with a plan of action when disaster strikes is crucial to keep you and your family safe. Here are some safety tips when it comes to protecting you, your family, and your property during a tornado. Communication is Key – When it comes to keeping everyone safe during a tornado, communication is essential for survival. This goes for communicating where you’re to go during the tornado, what property is to be locked down beforehand, and what emergency numbers you need to have on hand for afterward. Safe Space – Deciding on a safe space during the tornado is a key factor in keeping you and your family out of harm’s way. Safe spaces are where you are to go when the tornado happens and can help to protect you from the storm. These are places like basements, storm shelters, and other lower-level rooms in a home. Get Pictures – When and if a tornado hits your property, you’ll want to take photos of the damage once the weather has calmed down. This will help you in the event that you need to file a claim with your insurance company afterward. 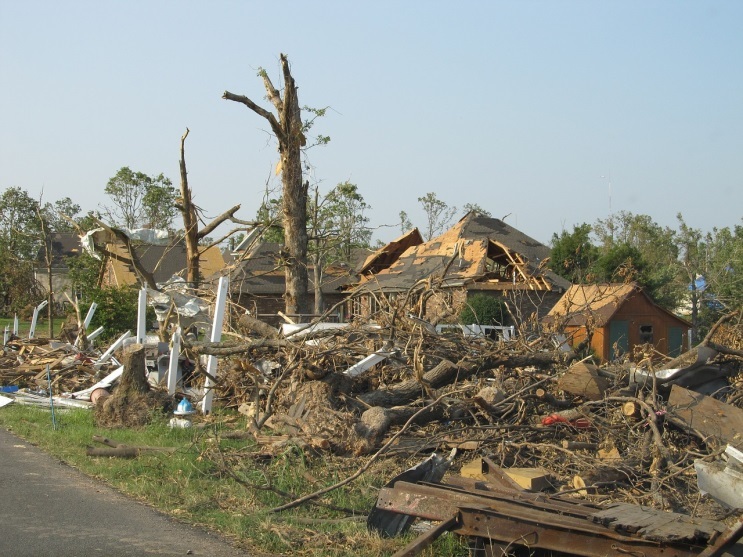 In search for a disaster restoration company that can help you clean up after a large storm? Call on our professionals at DKI today.